Civil Engineering is the mother of all engineering disciplines. It deals with the design, construction and maintenance of the physical and naturally built environment, including works such as bridges, roads, canals, dams, airports, highways, buildings, flyovers, tunnels and offshore structures. The study involves planning, designing and executing structural works. The major specializations within civil engineering are structural, water resources, environmental, construction, transportation, geo-technical engineering etc. Most engineering graduates start with the basics and as they prove their competence they are given more and more responsible tasks. Senior engineers involve in more complex design works or management of junior engineers or into specialized consulting. Department of Civil Engineering of MyCEM has been imparting quality education to meet the technological advancement and industrial requirements. This has been made possible due to qualified and dedicated faculty, state of the art laboratories and infrastructure facilities. To become a school of excellence delivering civil engineers who are capable of enriching civil engineering research and practice and serving the needs of a broad array of disciplines and society. •To promote quality education, research and consultancy for industrial and societal needs. •To provide state-of-the-art resources that contributes to a congenial learning environment. •To inculcate moral and ethical values among the students. •To promote innovative and original thinking in the minds of budding engineers to face the challenges of future. Prof. Abhilasha G T , is working as Professor in dept. of Civil Engineering MYCEM, Mysuru. She graduated B.E in Civil Engineering and post graduated M.Tech in Structural Engineering from Brindavan college of Engineering Bangalore affiliated to visvesvaraya Technological University (VTU), Belagavi. Her area of interest includes Elements of Civil Engineering & Engineering Mechanics, Strength of materials, Building material & construction Technology, Concrete Technology, Building planning and drawings, Hydraulics & hydraulic Machine, Design of RC structural elements, Design and drawing of RC structures, Design of prestressed concrete elements, Design of steel structure and Structural Analysis. She has published a paper on “ Short term deflection of Fly ash concrete beams” at International Journal of Scientific Development and Research(IJSDR), volume 1 /Issue 5 /082, May 2016 ,PP 415-419. She has published a technical paper on “ Partial replacement of cement by Ground Granulated Blast Furnace Slag” at International Journal of Scientific Development and Research(IJSDR), volume 3 /Issue 10 , October 2018 ,PP 124-129. She has guided for 6 Engineering Projects. She has attended a workshop on “Green buildings” conducted by the IGBC at JN Tata Auditorium, IISc, Bangalore. Attended faculty development program on “ Changes in Teaching Methodology in Recent Times” Conducted by the dept. of MBA & MCA. BRCE, Bangalore. Attended 2 day faculty development program on “ Stability of Structures ” Conducted by the dept. 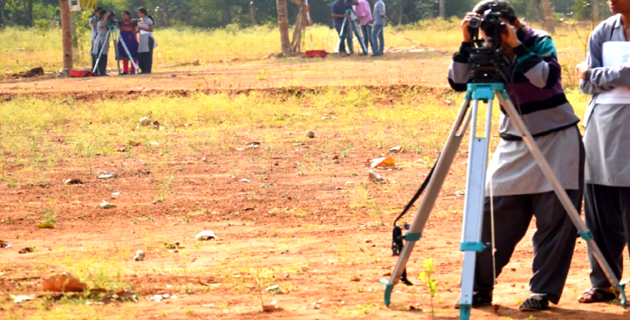 of Civil Engineering in Brindavan College of Engineering , Bangalore. Attended 2 day workshop on “ Design and Detailing of RC & Steel Structures ” Conducted by the dept. of Civil Engineering in Brindavan College of Engineering , Bangalore. She has received Two Awards “Meritorious Achievements in Academics”. Prof. Dilip K. M is working as Professor in Dept. of Civil Engineering MyCEM, Mysuru. He graduated B.E in Civil Engineering from Govt. Engineering College, K.R Pete and Post graduated M.Tech in Structural Engineering from Brindavan College of Engineering Bangalore affiliated to Visvesvaraya Technological University (VTU), Belagavi. His area of interest includes Geotechnical Engineering, Design & Drawing of Steel Structures, Building Planning & Drawing, Building Material & Construction Technology & Design and Drawing of RC Structures. He has published 2 technical papers and has guided for 11 Engineering Projects. He has attended as a Resource Person for Extensive survey for 8 batches. He has attended as a Resource Person for Technical Seminars in Achutha Engineering College & Bhuvan Polytechnic College, Bangalore. He has also attended International Conference 2 times, Organised Faculty Enrichment programme in GMIT (Mandya Dist.). Has also conducted project at Karnataka Engineering Research Station, Krishnarajasagara, Karnataka (KERS) through funds and is registered for Doctorate in 2017 on topic “Cement free Geopolymer Concrete”. Prof. Adarsh U is working as Professor in Dept. of Civil Engineering MyCEM, Mysuru. He graduated B.E in Civil Engineering from Vidya Vikas College of Engineering & Technology, Mysore and Post graduated M.Tech in Structural Engineering from Dayananda Sagar College of Engineering, Bangalore affiliated to Visvesvaraya Technological University (VTU), Belagavi. His area of interest includes Elements of Civil Engineering & Mechanics, Fluid Mechanics, Applied Hydraulics, Building Material & Construction Technology & Design and Drawing of RC Structures. He has published 5 technical papers and has guided for 3 Engineering Projects. 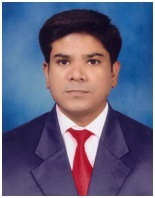 Mr. CHETAN H.J is serving as Assistant Professor in Dept. of Civil Engineering MYCEM, Mysuru. He B.Sc graduated from YUVARAJA’S College and post graduated M.sc in Manasa gangothri from UNIVERSITY OF MYSORE (UOM) and has 4 year of teaching experience. He had 10 years Industrial experience and done Safety Engineering. Seminar in ATI on GPS & GPRS for KAS and IAS officers. 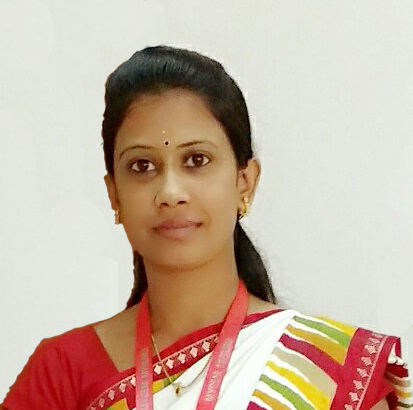 Ms. Ashwini Devi C K is serving as Asst. Professor in dept. of Civil Engineering MyCEM, Mysuru. 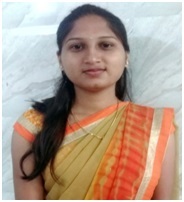 She has graduated in Environmental Engineering from VVCE, Mysore and M.Tech in Environmental Engineering from SJCE, Mysuru affiliated to visvesvaraya Technological University (VTU), Belagavi and has published paper titled as “Effect of various treatments on the production of Bioethanol from Wheat Bran” in International Journal of Engineering Research & Technology (IJERT, ISSN: 2278-0181). Her area of interest includes industrial wastewater treatment, air pollution and control, environmental impact assessment. She has guided 3 Engineering Projects. Mrs Chandana Shree B is serving as Asst. 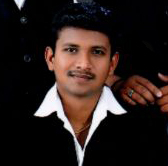 Professor in Department of Civil Engineering MYCEM, Mysuru. 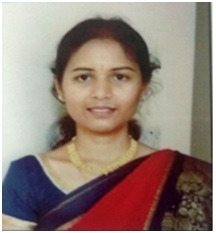 She has graduated in Civil Engineering from Ghousia College of Engineering Ramanagaram and post graduated in Structural Engineering from VTU Regional centre Mysuru affiliated to visvesvaraya Technological University (VTU), Belagavi and has published paper titled “Experimental Investigation on Double Skin Tubular Short Columns” (Elixir international journal 2013 17683-17687) .Her area of Interest includes Elements of Civil Engineering & Engineering Mechanics, Strength of materials, Structural Analysis ,Design of RC structural elements, Design of steel structures, Design of prestressed concrete structures and. she has guided 4 Engineering Projects. Ms Roja M. is serving as Asst. 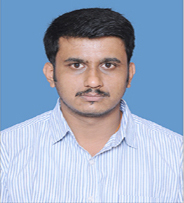 Professor in Department of Civil Engineering MyCEM, Mysuru. 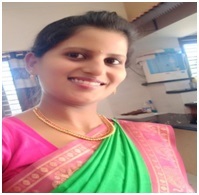 She has graduated in Civil Engineering from Government Engineering College, Chamarajanagara and post graduated in Computer Aided Design of Structures from SSIT, Tumkur . Her area of Interest includes Strength of materials, Structural Analysis, Design of RC structural elements, Estimation and Costing, Fluid Mechanics and she has guided 4 Engineering Projects. She has been awarded GOLD MEDAL during 6th convocation held on 16th September 2017(bearing USN 14CAD10) in M.Tech CAD Structures. Paper published by her “Performance based evaluation of response reduction factor for elevated rectangular water tank” International Research Journal of Engineering and Technology, volume 03, Special Issue 06, june 2016. Prof. Preetham H P is working as Professor in Dept. of Civil Engineering MyCEM, Mysuru. He graduated B.E in Civil Engineering from Govt. 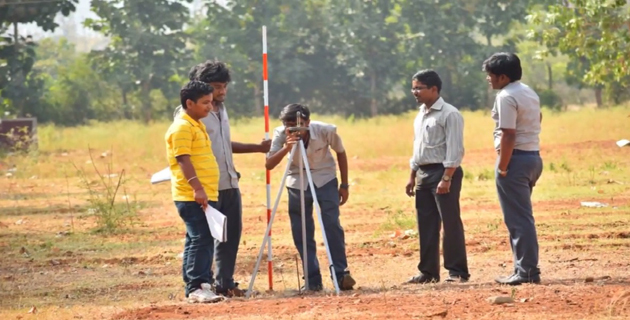 Engineering College, Kushalnagar and Post graduated M.Tech in Computer Aided Design of Structures from Sahyadri College of Engineering and Management, Mangalore affiliated to Visvesvaraya Technological University (VTU), Belagavi. His area of interest includes Geotechnical Engineering, Design & Drawing of Steel Structures, Building Planning & Drawing, Building Material & Construction Technology, Design and Drawing of RC Structures & Urban Transport Planning. He has guided for 2 Engineering Projects. He has attended as a Resource Person for Extensive survey for 1 batches. He has 1 year experience in Construction field and 4 year experience in Architectural field.